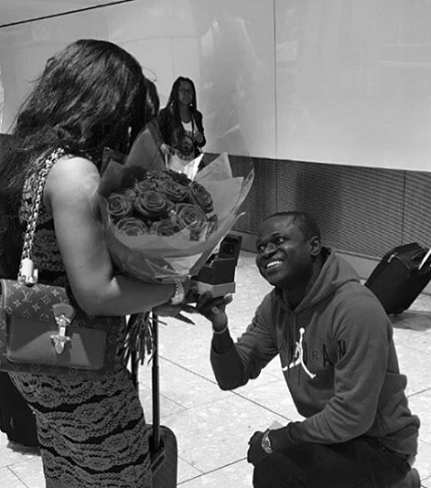 Aww Nigerian luxury designer is presently in the UK with his girlfriend Deola Smart. 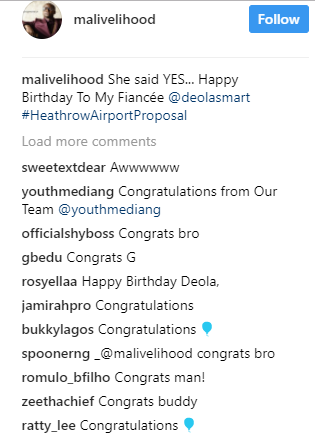 They landed the country this morning and he just shared a photo of him proposing to her at the airport and she said YES. Today is also Deola’s 25th birthday. Big congrats to the couple!